If you prefer microbrews to mass-produced beer, you’ve probably encountered them already: those newfangled plastic six-pack holders that are much sturdier than the more common flimsy rings, but which cling to their cargo with a death grip. Separating a can from the carrier can be a Herculean task, and has flustered many a craft beer aficionado. They are indeed, according to the product's manufacturer. PakTech says its carriers are more environmentally responsible—despite the fact that its popular six-pack holder, the CanCarrier, contains four times the amount of plastic than the common variety, according to Treehugger. The recyclable carriers are made with 96 percent recycled plastic and shipping beer packaged with the CanCarrier doesn't require shrink-wrap or cartons to keep cans on a pallet, thus reducing waste and shipping weight. As for the challenge of removing a can from the carrier, PakTech says it's just a learning curve. “Once you figure out how to jolt the can out, it’s not that hard," said Amie Thomas, sales and marketing manager at the Eugene, Oregon–based company. In 2010, Hawaii's Maui Brewing Co. became the first large-scale customer to pick up the CanCarrier, and business took off a few years later. “In 2012, 2013, craft brewers really started accepting the can as a package. … They didn’t want it to look like mass-produced beer that already had those six-pack rings, or soda cans,” Thomas said. “It was a perfect storm on our end.” The company, which has about 150 full-time employees, now sells 13 million CanCarriers a month to about 450 of the approximately 3,400 craft breweries in the U.S., adding between two and five brewery customers a week. Two hundred other businesses, like Costco suppliers who package in bulk, also use one of PakTech's 15 "core" handle products and the company has over 100 other handles in some stage of development (the CanCarrier accounts for half of the company's volume, and in July it became available in Europe). Though PakTech may be framed as the gold standard, it hasn't completely edged out packaging competition. Hi-Cone, a manufacturer whose thin rings have been ubiquitous since a 1961 partnership with Anheuser-Busch, also insists its product is environmentally responsible because the rings are lightweight and recyclable (though Darby Hoover, a senior resource specialist in waste reduction and sustainable packaging at the Natural Resources Defense Council, says not all curbside programs recycle the type of flexible plastic used in the rings). Julie Hoganson, the company’s marketing specialist and coordinator of their recycling program, said it's an “environmental myth” that many animals (like the famous Peanut the turtle) get entangled in the rings. In 1988, Hi-Cone introduced photodegradable plastic that breaks down in the sun in a matter of weeks, and two years later they set up a recycling program exclusively for the company's rings. They also sponsor beach clean-ups, where they sometimes collect their own product. “There’s always someone out there with a six-pack the night before,” Hoganson said. 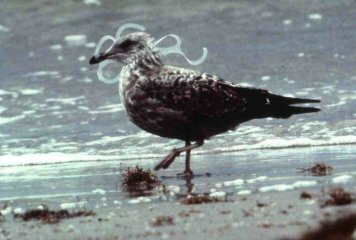 In 2011, the Ocean Conservancy’s 25-year ocean pollution survey reported that plastic rings accounted for only about 3.6 percent total of ocean wildlife entanglements (two Hi-Cone executives have served on the board of the Ocean Conservancy). But plastics never disappear. As the rings photodegrade, they break into smaller and smaller pieces and find their way into the ocean and other waterways where they can be consumed by animals, according to the NRDC's Hoover. “Creating things like photodegradable plastic doesn’t really solve that big problem, it contributes to that problem,” she said. The CanCarrier isn't litter-proof, of course, but brewers who use PakTech say it's more likely to be recycled. “It begs not to be left on the beach and carried away in the wind,” said Garrett Marrero from Maui Brewing Co. Then again, Americans only recycle a little over half of aluminum beer and soda cans and only around seven percent of plastic. Not that Hi-Cone's rings and the CanCarrier are the only options for eco-conscious microbreweries. “Cardboard packaging is still going to be a better choice than any of this fossil-fuel derived packaging, especially assuming it’s made from recycled content,” said Hoover. She said cardboard is easily recyclable and biodegradable, unlike some plastic. 21st Amendment, in the San Francisco Bay area, was the first craft brewery in California to sell its beer in cans. They package exclusively in cardboard boxes, using recycled paper when possible. “We definitely encourage recycling those,” said marketing manager Elizabeth Reyes. Though cardboard rates vary with weight, size, and printing costs, cartons generally are more expensive than PakTech holders. But Reyes says the packaging’s built-in marketing panels and environmental benefits outweigh the price. The CanCarrier, meanwhile, is five times lighter than conventional cardboard six-pack holders, and the production process uses 94 percent less water and releases 85 percent fewer greenhouse gas emissions than the manufacture of cardboard six-pack holders, according to PakTech.